Renowned investor and Berkshire Hathaway CEO Warren Buffett spoke out about bitcoin for the second time in as many weeks, calling the digital currency “a mirage” in an interview with CNBC on 14th March. The comments follow Buffett’s first statements on bitcoin on the network on 3rd March, when he suggested that bitcoin was not a currency, writing it off as a passing fad. Buffett did however allude to the underlying technology of bitcoin as a payments network, comparing it to checks and money orders as a “very effective” and “anonymous” way to transmit money, adding: “It’s a very fast money order”. However, he also seemed to infer that were bitcoin to be used primarily for this purpose, its value would then be questionable, just as checks and money orders do not possess any value. The bitcoin question that arose around the nine-minute mark was an aside to the larger conversation, though it did spark a brief roundtable discussion of bitcoin and its ledger technology. In the interview, Buffett covered a range of topics from his $1bn prize for this month’s NCAA college basketball tournament to the ongoing crisis in Ukraine. Buffett spoke more generally about investments too: commenting on the state of the US economy, as well as the investment benefits posed by stocks and bonds. Though it’s unclear from the statements how deeply Buffett has assessed bitcoin or its underlying technology, these statements are likely to have an impact in the financial community. However, accounts of his investment style suggest bitcoin would not be a high priority for Buffett, as he favors predictable earnings, understandable ideas and strong franchises. 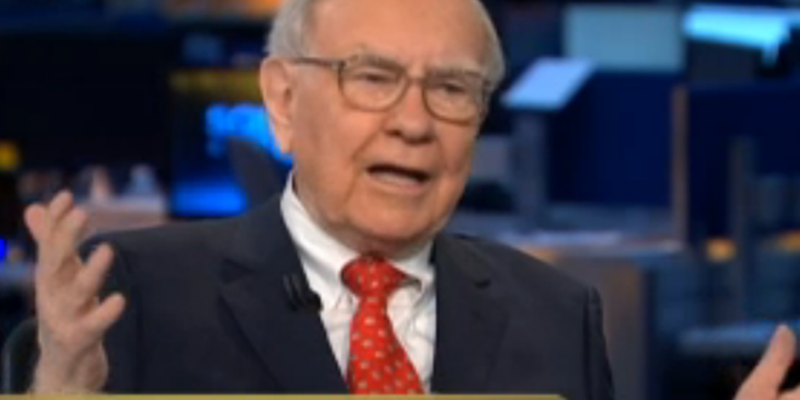 For example, Buffett is famous for avoiding tech stocks, even those as promising as Facebook.